Jace has it all—money, cars and status. What he doesn’t have is a happy home life. Forced to protect his brother from an abusive father and a neglectful mother, Jace lives a double life on the wrong side of the tracks, learning to box and trying to survive on his own merits while plotting to expose his father as the monster he is. Working reluctantly with two girls who have their own thoughts of vengeance, Jace finds that he is not as alone as he thought and that there are people he can trust. 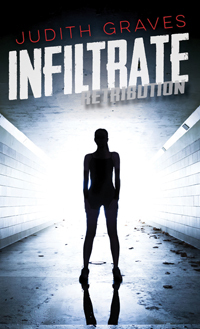 Part of RETRIBUTION—a high-interest trilogy that can be read in any order. "This series does not back away from divisive social issues...Those who enjoy gritty realistic fiction will find these books gripping. Recommended." "These interconnected narratives are page-turning reads, offering adventure, intrigue, and satisfying retribution. Jace, Josie, and Raven are fiercely independent, clever, and intelligent protagonists; each has a rich backstory and an engaging narrative voice that hooks readers from the beginning. Each compact narrative can stand on its own but also incorporates references to the other two, lending a multiple-perspective aspect to the story as a whole. While each book offers a quick resolution, readers will connect quickly to the characters and find their plights both compelling and entertaining. The series tackles such topics as truth and justice, integrity and honesty, and survival. It will appeal to a wide range of readers, including reluctant readers who need a quick hook." "Credit must be given to Brouwer for his ability to stay within the mind of a teenaged boy in a realistic way...The story never suffers from a sense of fatigue or dryness, and there is enough witty humour to keep even adult readers entertained...Highly Recommended." "From the opening pages, Unleashed is full of just the right amount of suspense and attitude...With Sigmund Brouwer and Jace at the helm, there are twists that the reader doesn’t see coming. This novel is perfect for its target audience of teen reluctant readers." 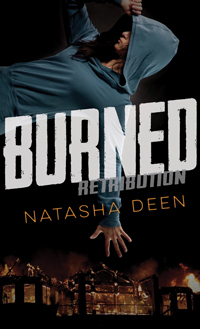 "Large text and middle grade reading levels make the [Retribution] series accessible to struggling teen readers." 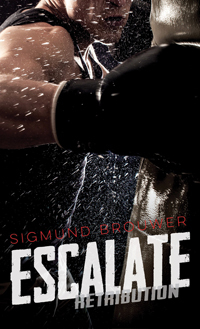 "Not only does Brouwer have a suspenseful novel here but he touches on themes that occur in young lives...The language Brouwer uses here is simple and frank, yet it still flows in a lyrical manner. He manages to clearly get inside the mind of a young person and understand how they think and feel...A great book to engage young minds about the world around them."